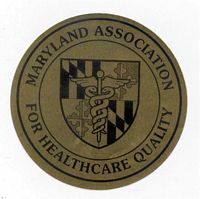 The Maryland Association for Healthcare Quality (MAHQ) is a non profit professional organization chartered by the state of Maryland for a membership interested in healthcare quality. The purpose of this Association is to provide opportunities to advance the practice of quality improvement in healthcare organizations and to support the professional development of healthcare quality professionals through education and communication among our membership. Professional Development: To provide continuing education opportunities to develop professional competency. Communication: To build enhanced, modernized communication methods to promote productive networking opportunities. Relationships: To build external relationships that promotes education, advocacy and membership. Excellence: To provide opportunities for members and the association to be recognized for excellence. fessional Development: To provide continuing education opportunities to develop professional competency. Communication: To build enhanced, modernized communication methods to promote productive networking opportunitie c. Relationships: To build external relationships that promotes education, advocacy and membership. Excellence: To provide opportunities for members and the association to be recognized for excellence. MAHQ was founded in 1977 by a group of utilization coordinators. During the 1980's the scope of the organization was expanded to include quality review professionals. In 1992, reflecting multiple industry changes, MAHQ grew again to become an organization open to all who are involved with promoting the science and practice of healthcare quality management. MAHQ is one of the oldest organizations for healthcare quality professionals in the country.